Sound Transit Proposition 1: Mass Transit Now! The November 8th election is rapidly approaching and we at the Coalition are excited about one measure that you’ll find at the end of your ballot. Sound Transit (A Regional Transit Authority) Proposition No. 1 will be the very last thing on the ballot and we encourage you to vote yes! In the past the Coalition has worked on other transit issues, including the ORCA LIFT fare and the Move Seattle transit measure. 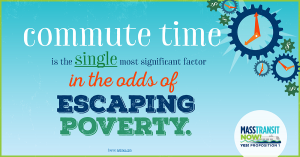 We care about affordable transit because it allows low-income individuals to access opportunities that they otherwise wouldn’t, it helps people survive and increases their ability to thrive in our community. Proposition 1 invests more than $20 million in affordable housing, and requires 80% of surplus land to be prioritized for building affordable housing. Mass transit built as part of this proposition will serve more than 36,000 current units of subsidized housing. As more affordable housing is built along the line, more people will be served by transit. It will increase access to jobs and education for low-income, working and middle class families by providing an affordable transportation option with shorter commute times. It will provide reliable public transportation for seniors and people with disabilities which will allow for more independence. Mass transit will reduce air and carbon pollution, which disproportionately impacts people of color. Voting yes on Sound Transit Proposition 1 will increase equity in our community by increasing opportunities for low-income and middle class individuals. 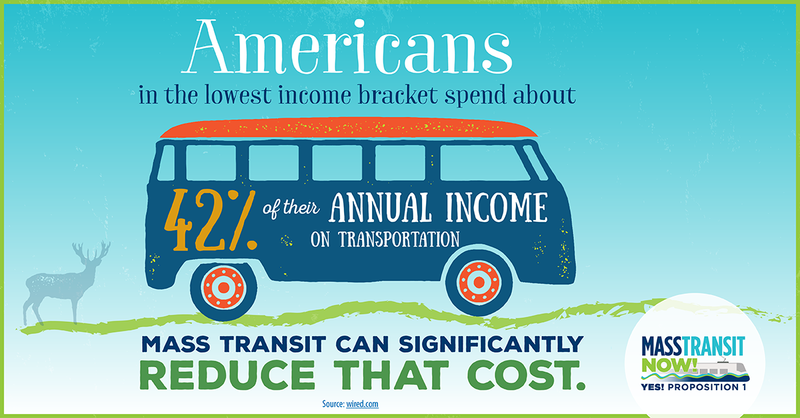 This is the most cost effective way to expand transit and help people get where they need to go! For more information on Proposition 1 visit masstransitnow.com and for updates on the campaign find them on facebook. 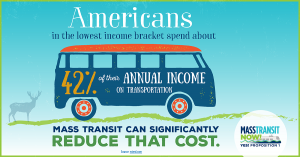 If you’re passionate about this issue and would like to volunteer with the Mass Transit Now! campaign you can sign up to doorbell, call voters, go to community events, do data entry or other important work here! We’re on board, are you?